Before you whoop with excitement about property prices soaring back to their preposterously unaffordable highs of recent years and prepare to dash over to the Job Centre Plus to spread the good news to Worcester Park's estate agents, let me point out that we are talking about a block of five properties here. 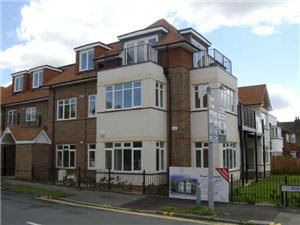 However if you do have a bit of spare change burning a hole in your pocket then the entire block of new-build flats on the corner of Colborne Way can be yours for a cool £1 million. Agents project a rental return of £60,000 per year. 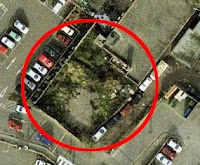 Or, if you're feeling very ambitious then it turns out that the scrubby piece of overground land between the library and Waitrose (next to the bottle bank) is actually an 'exciting investment opportunity' and is up for a sale for £750,000, complete with outline planning permission for eight residential flats. I suspect that buying the land and building the flats will be the easy bit. The hardest part will be finding somebody who is prepared to part with their hard-earned cash for the privelege of owning a flat in a Waitrose car park.